They'll be making their debut on March 2nd at Yokohama Blitz! Just a quick update on their nicknames for each other. Uozumi Yuki: Nee-san. Okamari calls her Yuki-chan. Also uses UO to sign off on blog posts. 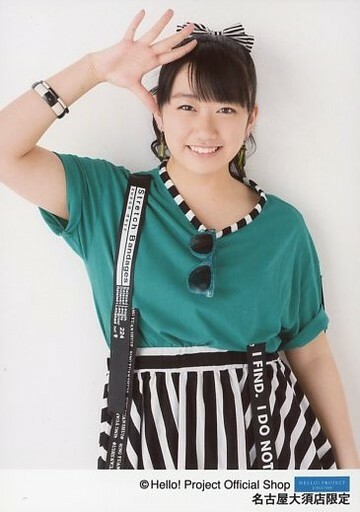 Miyazawa Marin: Marin. She uses "Miyazawa" to sign off on blog posts. Nee-san calls her Marilyn (for Marilyn Manson lolol). Also, Marin-chan by either Okamari or Reina. Okada Marina: Okamari. Her childhood nickname was "Hassenchi" -- means "8cm" for the width of her forehead Recently the fans have been calling her "Haguki" or "Gums" because when she laughs she shows off a LOT of gum. It might be some inside joke from a radio show too, they keep hinting about it on their blog posts. Check them out! These children are utterly hilarious. Nee-san is a diehard Evangelion fan, Marin is a Pokemon otaku, and Okamari is just damn weird. I think my favourite post was Okamari's anecdote about her grandma coming to a live show with a homemade bento and watching in the middle of a rocking crowd....that is one badass grandma. I love LoVendoЯ (ha). So cool that they have their own thread here now! Yay!! There was a bit of earlier general discussion in this thread, but now it can come here. This will be a thread I will follow often. And how cool is their sound. I was expecting maybe a re-do of SCANDAL's style, but these girls are pumping out a unique sound, for me. I am never good at really describing musical stuff in words, but I love so many of the tracks on their first mini-album. Weirdly, the first track doesn't do so much for me, but after that I am all ears! Kokki Hatameku Moto ni (国旗はためく下に; Under Our Fluttering National Flag) is such a different song to me... just love its feel of celebration. Ameagari no Yozora ni (雨あがりの夜空に; To The Night Sky After The Rain) - just wow! But truly, this has to be one of my favourite acquisitions of all time! And don't get me started on the gorgeousness that is Mayazawa Marin. Ohhhhhhh... to see that girl wield her guitar, it's like I've died and gone to heaven. Catch her blog in English translation, thanks to our wonderful Estrea!! Yay!! Marin's way of expressing herself is so cute and sweet. Can't get enough of this girl! I don't know if you were seriously saying that, initial; but to be honest, the more I see of Marina, the more I'm thinking you may be right about it. Her whole face structure, especially her mouth, seems a lot like Yui. The area I couldn't comment on, not having yet seen Marina in the right style of clothing to be able to tell, is whether she shares Yui's most notable features??!! So the jury is still out. But maybe she is a cousin or some sort of relative. Everyone else: "Ah.." "There it is.."
Since her coming of age last year she's unexpectedly getting a taste for alcohol too apparently, drinking even in while on the shinkansen. She's more lively and talks a lot more when she's drinking (Reina: Why don't you start drinking before lives from now on then >:3 ? )but she's also the type to immediately fall asleep before getting too drunk though. Oh and both her and Neesan already got their driver's license but they rarely drive on Tokyo. It's vital for Marin in Sendai though. I admit I'm not much of a Reina fan (sorry! ), but I am all about Marin, Okamari and Nee-san. And I wanted to thank Estrea for translating their blogs. I check Blog Project religiously to see if their blogs have been updated. Catching up now though :3 Sorry about the wait! ^Don't worry about it! I can't imagine how much work it is to translate all those blogs (and although they are long posts, I like that -- much more in-depth than the usual "Here is my food! Please cheer me on!" type of posts). And I like being able to read the entries in chunks. I know I'm not the first person to point this out, but it just seems that those three are so much closer to each other than they are to Reina. You barely hear them mention Reina, or see any pictures with her in their blog entries. And I can't imagine Reina being so candid as to talk about how much of a lush Nee-san is. Nor can I imagine Okamari and her mother taking Reina out to lunch on a whim. I know before it was because Reina was pulling double-duty with these girls and Morning Musume, but is she still really that busy? Oh well, as long as I get more Marin, Nee-san and Okamari in my life. 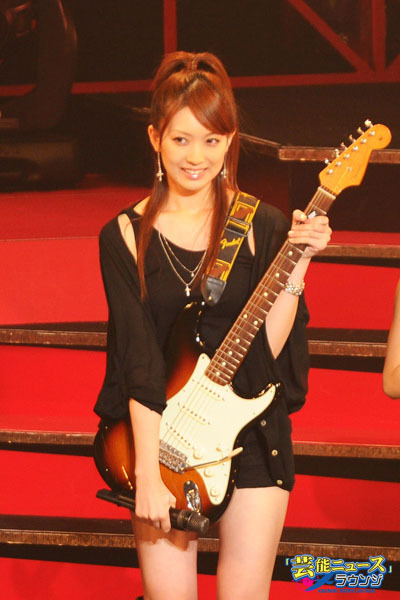 And is it too much to ask for an album track without Reina on an upcoming CD? Like how MoMusu would usually have tracks with certain groupings? Lovely Yuki Uozumi turns 22 years old today!! Hope that Yuki san has a great day with family and friends!! moments, and much joy and love! Marina chan, Otanjoubi Omedetou Gozaimasu!! Lively and lovely Marina Okada celebrated Hatachi today!! Wishing new adult Okamari a great day and a rocking year ahead! JPA: What are your goals for the band? Marina Okada: I want to perform in many live houses! Yuki Uozumi: I would like to go around and fill the live houses with the audience. Little by little, the stage will become bigger and then the production stage will get more appeal. Marin Miyazawa: I want us to be BIG! I really want us to be more famous. JPA: Do you have plans to release original singles and albums? Marina Okada: For the moment nothing is decided but everyone will be soon able to hear our songs. 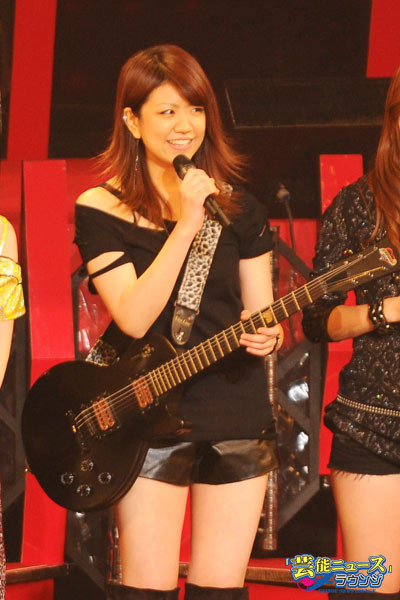 JPA: How is performing in a band different from performing as part of Morning Musume? Do you prefer one over the other? Reina Tanaka: Hum... In fact, I didn't have this feeling when I was in Morning Musume, but now I don't feel I want to dance this much. Even though, in the band nobody dances so it appears I want at least to dance sometimes. JPA: Do you keep in touch with any of your former group-mates? JPA: As a result of your success as part of Morning Musume, do you ever feel any additional pressure to succeed with LoVendoЯ? Reina Tanaka: Not at all! I will let nature take its course! Yuki Uozumi: At first, Marin was wearing a pink dress and she really looked like an otaku. Then she said she liked Pokémon during the announcement of the members, I thought she was an eccentric young woman, with a bad image. ...while Okamari geeks out over her fly-fishing equipment (and also alcohol now that she's 20). I love these girls. No, you're not crazy. I think Marin has that resemblance too sometimes. Articles on J-POP SUMMIT FESTIVAL will be starting to go on the jphip.com front page in the next few days. I may also post here some of the hundreds of photos we have from the whole weekend.